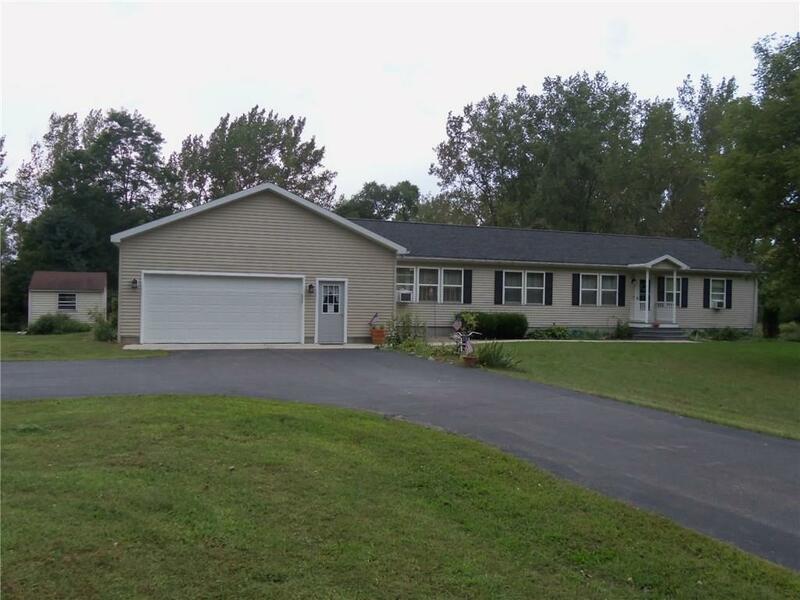 Well maintained 3 bedroom 2 1/2 bath ranch on a nice 2 acre country lot. Large modern kitchen w/ granite and all appliances, family room, 1st floor laundry, patio doors to rear deck, master suite w/ jetted tub and walk in closet, full basement and two car garage. Fredonia Schools.